Many job-seekers really feel uncomfortable when it comes to that part of the interview where they would be asked the salary question. Most times when the recruiter starts the salary negotiation process during an interview, the job-seeker feels uncomfortable and confused immediately, because of these two reasons; the job-seeker doesn’t want to ask for too much, so he doesn’t look greedy, and the job-seeker is also scared to say something too low so he doesn’t cheat himself at the end of the day. The process of salary negotiation could really be an awkward time for a job-seeker, but the truth is that knowing the tricks and tactics for salary negotiation, and most importantly avoiding salary negotiation mistakes are necessary to get the job offer you seek and deserve. 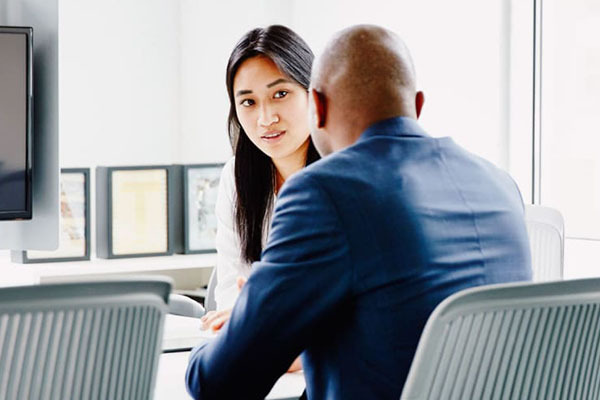 The biggest salary negotiation mistake job-seekers make, especially younger job-seekers is settling for whatever is offered other than negotiating. Many job-seekers don’t understand the process of negotiation and as such, they just prefer to save themselves the stress of negotiating and just accept any offer given to them. Settling for a low salary because you are scared you may lose the job may have many long-term negative consequences both on you and the job. When you become dissatisfied over time it will affect your productivity and impact on the job. Many job-seekers are fond of revealing how much they expect the employer to pay them even before an offer is given. Putting a firm price tag on yourself without giving a room for negotiation puts you in a disadvantaged position. Just stating your price gives little or no room at all for negotiation. When you are asked about how much you would like to be paid, it is always better for you to offer a range. It is important for you and your employer to have a starting point for the negotiation. Giving your employer a salary range and not a figure can form or create the basis for the salary negotiation. When negotiating your salary, you should focus on why you think you should earn more considering your skills and qualification. You should not base your salary negotiation on your personal needs. Don’t base your negotiation on your personal situations and needs. Don’t make the employer feel like he should pay you more because you have medical bills to pay or you need to get a new house. You should always frame salary discussions around the value you bring to the company, rather than playing the pity card. At the end of the day, an employer will pay you not because of your personal needs but based on the value your position will add to the company. It is very important for job-seekers to know how much they are worth in the market. With all the salary resources available online, every job-seeker should find out how much they worth, while preparing for an interview. Not knowing what your skill is worth is one of the biggest salary negotiation mistake any job-seeker can make. Before you go for any job interview, you should take the time to know what your skill is worth in the market. Remember that when you are trying to find your worth, you should consider your location, your job role, and your job field generally. You should also take the time to research salaries in other related job roles. When negotiating your salary, you should make sure you take your words and your decisions seriously. The decision you make at this point in your career has a whole lot to do with the job when you get the job. When negotiating your salary, you should always be careful not to jump at offers without asking for time to consider the offer. Usually, most employers will give you an offer letter that states how much you will be paid and other benefits that will be given to you. It is important for you to ask for a few days to think about the offer before you decide to accept the offer. Just be careful not to take so long thinking about the offer. When you are negotiating an offer with your prospective employer, make sure you stick to one aspect of the negotiation. If you are negotiating your offer and you are busy negotiating every aspect of the offer you will be sending the wrong signal and message to the employer. If you want to negotiate your salary, then you go ahead and negotiate the salary and not negotiating everything that has to do with the offer. When you negotiate every area of the job you are indirectly telling the employer that you are hard to please. Declining an offer too quickly is almost like accepting an offer too quickly. Many job-seekers rejects job offers very quickly when they are offered a salary that is lower than what they expected. Even if you should reject what you don’t want, you should also take time to think about the offer before rejecting it. Sometimes, we reject offers because of the salary, not considering other bonuses. Some companies don’t pay high salaries but they give their employees other benefits. So before you reject any job offer you should take time to think about it. It is not enough for your employer to offer you a job using word of mouth, even if it is true that the employers want to hire you, you should make sure that a written offer letter is handed to you. Be careful not to accept an offer that is not properly documented. A job offer is a contract and must be treated as one. Every contract needs to be written down and drafted for documentary purpose. A written job offer will state very clearly all necessary terms and conditions regarding the job role. After you have been offered a job verbally don’t accept without seeing a written version of the offer. You can ask the employer politely about the written form of the offer. You would not want to deny yourself a wonderful satisfaction that your dream job will bring to you by poorly negotiating your salary. It means that you really have to place an accurate worth on your skill and qualification before going for an interview. 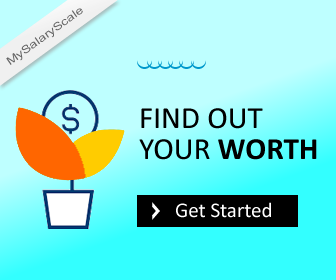 To better negotiate your salary visit www.Mysalaryscale.com and research any company salary structure before going for any job interview.